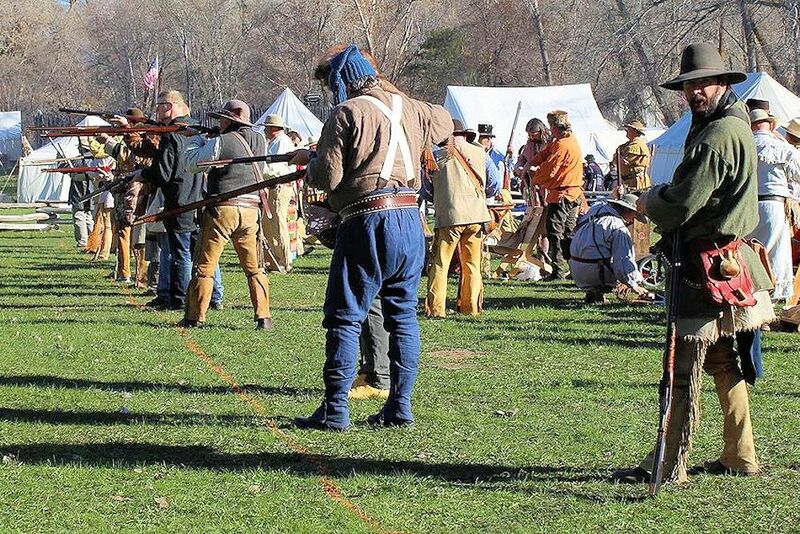 Relive pre-1840s frontier history at the 33rd Annual Fort Buenaventura Easter Rendezvous on April 18-21, 2019 at Fort Buenaventura in Ogden Utah. The Fort Buenaventura Easter Rendezvous is held every Easter weekend at Fort Buenaventure Park in Ogden, UT. There are shooting contests, recreation of fur trade gatherings and Native American traditions, canoe races, primitive camping, and trader’s row. Registration required. 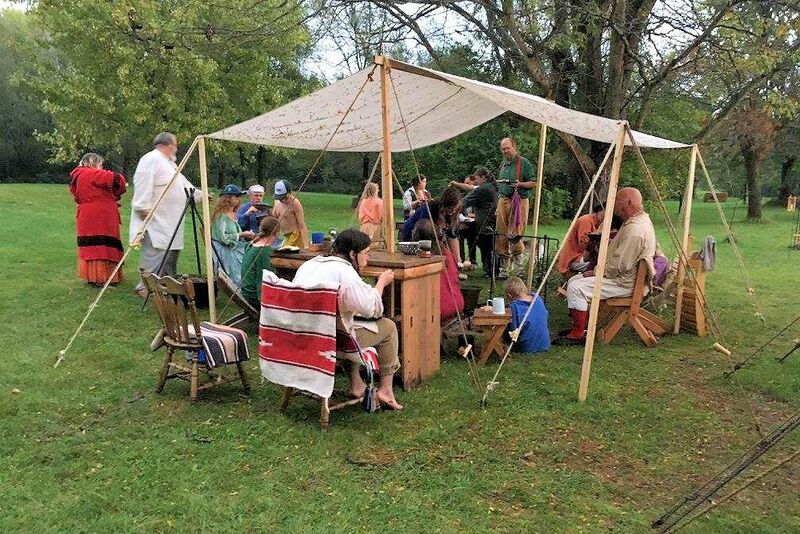 Held Easter Weekend each year, the Fort Buenaventura Easter Rendezvous marks the opening of our season. Come join us for a re-creation of the fur trade era gatherings of trappers and Native Americans. The events on Saturday from 8:00 am-6:00 pm include a dutch oven contest, rifle shoot, kids’ games, frying pan toss and much more! The events on Sunday from 10:00 am-1:00 pm include a shotgun shoot and kids’ and adult canoe races. Vendors will be there to sell food and drinks so bring the whole family for a day of fun and good food! One half of the park has the RV’s and the food trucks. The food is excellent, but be aware that it does take a while. Luckily, there is a park and slide so the kids can play while you wait. Fur Trade Era dress required for competition at activities. Primitive long-term, short-term and tin tipi spaces available. Black powder & cap and flint only. No composite, laminated stocks or inline firearms. Use ONLY primitive wood bows and wood arrows with feather fletch. No unnatural knocks or bamboo, fiberglass laminates, broad head, plastic or velcro. Held Easter Weekend each year. Strollers can be pushed through most areas. Barter with these guys. Ask if they’ll take so much and then shake when the price is right! Dressing up in time era clothing is encouraged. Located on an 84-acre river tract of land near the Weber River, the fort symbolizes a period of western history that was the transition from nomadic ways of the Indian tribes and trappers to the first permanent settlers in the Great Basin. Facilities at the fort include picnic areas, a canoeing pond, the replica fort including three cabins and restrooms. Fort Buenaventura has been constructed on the original site of the fort built in 1845 by Miles Goodyear and his wife. It has been reconstructed according to archaeological and historical research.. There are no nails in the stockade; instead, historic wooden pegs and mortis and tenion joints hold the wall together. Miles Goodyear was a mountain man during the last years of the fur trade who built and occupied Fort Buenaventura in what is now Ogden, Utah. As the fur trades declined and way stations such as Fort Bridger began to spring up on the overland trails, Goodyear decided to build an enclosed fort on the large westward bend of the Weber River, approximately two miles south of its confluence with the Ogden River and about one-quarter mile west of the present end of Ogden’s 28th Street. The stockade was constructed with cottonwood logs set upright in the ground that enclosed about one-half acre of land adjacent to the river. It was begun in 1845 and completed by the end of 1846. Four log cabins occupied the corners of the fort, and sheds, corrals, and a garden were also located within the enclosure. Additional corrals were located on the outside to accommodate cattle, horses, goats, and sheep. The garden was watered by river water carried by bucket to the beans, carrots, cabbages, radishes, and corn. The fort was occupied by Goodyear, his family, other trappers, Indian helpers, and visitors. It is apparent that Goodyear hoped also to use the fort as a base for trapping and trading, and hoped also to profit from being of service to overland emigrants. In July 1847, Goodyear visited with the first Mormon company traveling west on the Bear River west of Fort Bridger, and he tried to entice them to settle on the Weber River. He was successful. In November 1847, he sold the fort and everything in it but his horse, to James Brown (authorized by the Mormon High Council) for $1,950. The settlement was soon called Brownsville and later, Ogden. Mark your calendar today so you don’t miss the next Fort Buenaventura Easter Rendezvous in Ogden, Utah.